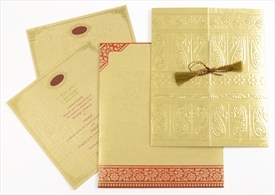 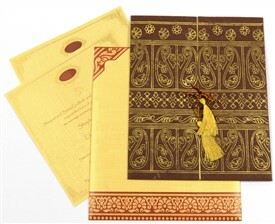 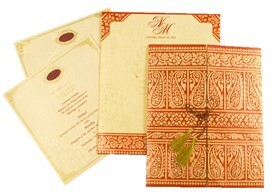 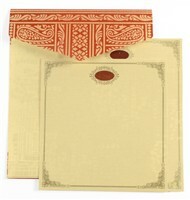 d-133, Red Color, Handmade Paper, Designer Multifaith Invitations, House Warming. 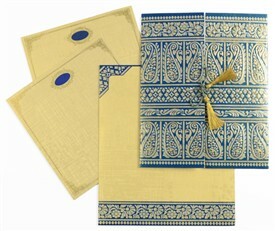 Greet the rich feeling of opulence with a sweet smile as this door-open card is a special design and it sure does demand that. 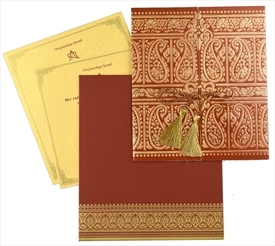 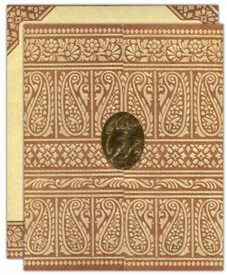 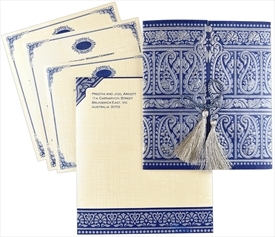 The maroon card sheet front is tied by a silken tassel and has exquisite traditional self-embossed motifs arranged in ascending rows in rows; the gold leaf work on the motifs makes the royal impression complete. 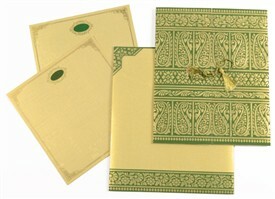 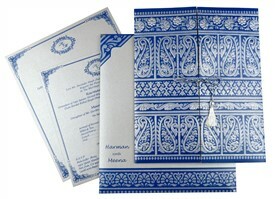 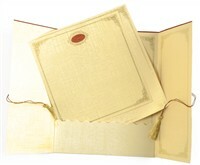 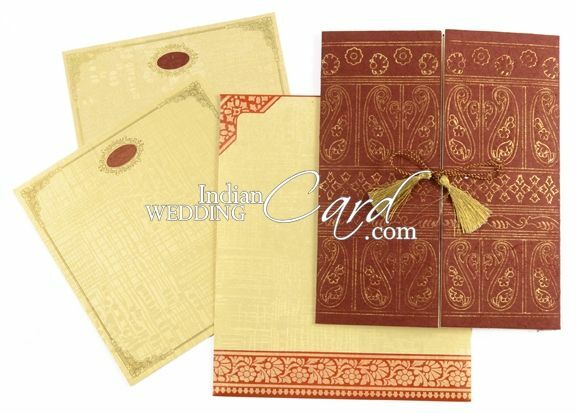 The inserts are in golden textured sheet and the envelope follows suite. 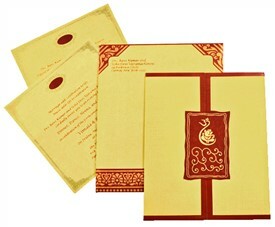 Silk Screen Printing in Maroon or Gold Color.